I have tested, used and experimented with a lot of materials over the years and below is a whole list of artist resources that I have found work for me and have definitely provided some great value. 1. 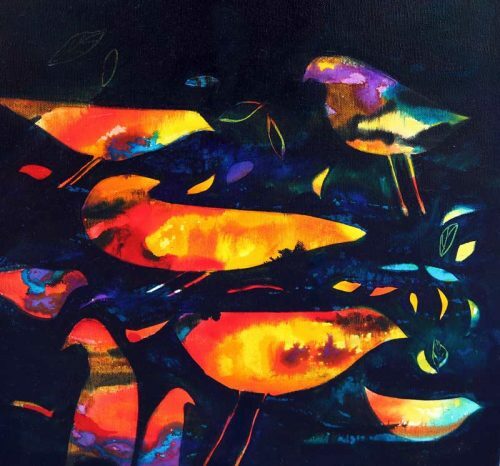 Artpromotivate: This website is great, it has everything you could possibly need as an artist. The ‘free’ section that is accessible from the home page is very useful with artist portfolios, how to set up an art website and of course a few handy tips/articles that get published and put online every couple of weeks. 2. 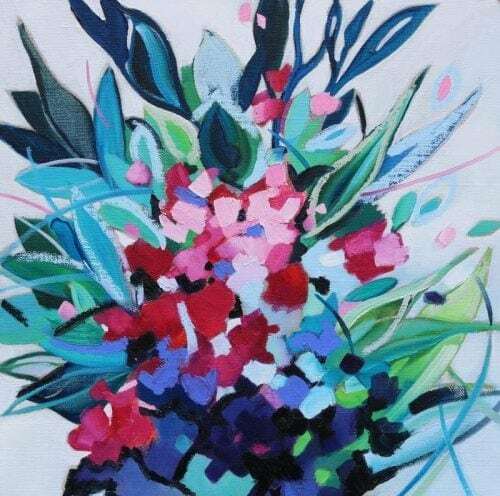 Art-Almanac: Keep up to date with the Australian art community, this site always has the latest art news on exhibitions, awards, gallery openings and much more. The website also allows you to narrow down your search for art news by state or city which is really useful. 3. EmptyEasel: This site is one of the most useful resources in the online art community. The site has great advice, recommendations and does an awesome job at scouting new and upcoming artists. 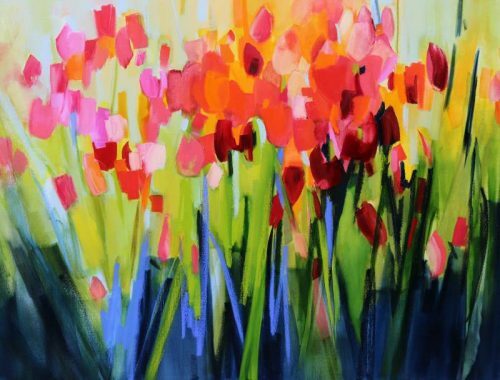 There are hundreds of interesting articles on art topics and how to guides, for example this ‘how to paint with oil pastels‘ is a great read. 4. 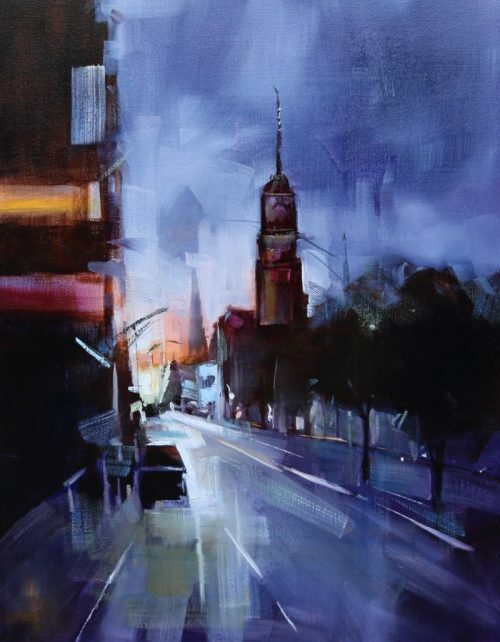 MisterArt: Has a huge range of art products available, the website is a little confusing at first but once you get the hang of it you can save huge amounts of money on art suppliers that usually costs a fortune in local stores. I do encourage you to support your local art stores but sometimes the internet is easier. 5. Craftsy: This is an amazing website that allows anyone and everyone to participate in engaging online classes, they offer a range of classes that include fine art, sewing, photography, cake decoration and even cooking. All though this website started as an artist learning hub it has fast expanded into other areas. 6. Blick Art Materials: Sometimes the local art store can be limiting so occasionally I have found some of the more specific items on this site. I would still recommend checking out the local art store first as we like to keep them in business. 1. Loose canvas: you can purchase this from art suppliers and buy as much as you want as it’s cut directly from a roll. You will need to tape it to a board (I use a piece of masonite) when you paint on it. This is a good method if you want to frame your work. It’s also the most economical way to go. 2. Stretched canvas: this is when the canvas is stretched over a wooden frame which makes it easy to paint on and you can immediately hang it on the wall. If you want to frame it you can also easily take it off the wooden frame and get a local or online picture framer to frame it up for you. Stretched canvases are commercially available in a wife range of sizes, or you can also get a picture framer to make up specific sizes for you which is what I do. Just watch out for some of the cheap commercial ones that use very lightweight wood which have a tendency to warp once you get to sizes larger than a metre. 3. Canvas panels: these are essentially canvas on board, so they are flat, and easily framed if you want to. They come in a range of sizes and canvas types. Pebeo make a good 100% linen (buff coloured) on wood panel. Otherwise Fredrix make the standard white primed canvas on board panel which can be used with all mediums. 1. 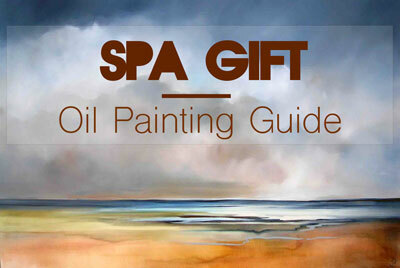 Oil paints: come in a huge range of colours. You don’t need all of them! Half the fun of oil painting is mixing your colours. They also come in range of prices starting with the cheapest Series 1 paints and increasing from there. I routinely use Art Spectrum Oil Colours. If you are starting out you could begin with the “Spectrum” colours entry level base colours, and progress to the more intense, more expensive “Cadmium” range. Similarly, Winsor & Newton are an equally good brand. 2. Oil pigment sticks: these are one of my favourite art products. They are essentially oil paint in a stick so it enables you to produce lines, shading, highlights in a more ‘drawn’ way. I use them as a support to paint and the brand I use is R&F which come in a range of gorgeous colours and are soft and easy to use. Again they vary in price according to their ‘Series’ level. You can also read my in depth article on how I use pigments sticks and why they are so good. 3. Dry ground pigment: I sometimes use Langridge ground pigment which enables me t to prepare my own colours. The dry pigment (which is like powder) mixes with Langridge Acrylic Binder to turn it to a liquid paint. The pigment comes in a wide range of colours and it’s fun to experiment with the mixing. I often use this for an underpainting as I can use a roller (which washes out with water). 4. Brushes: Brushes come in a variety of shapes and sizes so it’s not always easy to know what to use. I use a range of sizes – the bigger the canvas, the bigger the brushes you need. Again I use Art Spectrum for standard brushes, they are mid range and reliable, and also Neef, another good brand. A Liquitex 4 inch brush has been the latest addition to my collection – this I use on large canvases. A small range of shapes will get you started though – a couple of filberts (a flat brush with sloping edges), an angle head brush, a flat definer, a round definer and a rigger (a long, fine brush for adding that flourishing detail at the end!). 5. Palette Knives: I love to apply slabs of paint with palette knives and I also use a knife edge to achieve very fine lines. They come in all sorts of shapes although probably the most useful is the standard ‘knife’ shape. The brands I find reliable and durable are Art Spectrum, Pebeo or Liquitex which are generally made with a flexible metal top (make sure it very flexible when you buy one) and a wooden handle. Avoid the cheap plastic ones. Knives are also ideal for mixing paint on your palette. 6. Paint Shapers: Paint shapers are a wonderful device for moving paint around the canvas. They are like a paint brush except the bristles are replaced by a rubber wedge. 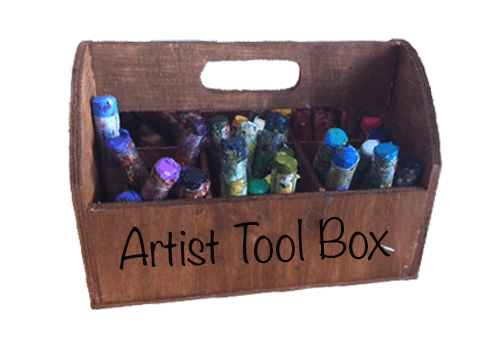 I use mine for putting on paint (in quantity), manipulating it around the canvas, scraping back paint to reveal colours underneath, outlining (with the pointed shapers); so they are very flexible and fun to use. I’ve had mine for years and use them every time I paint – they don’t wear out, unless you leave them soaking in cleaner, in which case they are ruined. I learnt that the hard way. Cleaners: It’s critical to take care of your brushes properly. They are easily and quickly rendered unusable if paint is left in them. I use a multi purpose cleaner called Art Clean (made by Art Spectrum) rather than turps as it’s not as toxic smelling and gentler on the brushes. After a general clean with this I use Chroma Incredible Brush Cleaner. It is indeed incredible as it’s a soap which is worked into the bristles and then washed out with water. It can be used for oils or acrylic and will remove dried paint from brushes you thought long gone. Storage in the studio: There are a lot of organisational products on the marketplace to assist in keeping your art studio clean and tidy. Even though there are many fancy shelves and stands, one little trick I have picked up over the years while trying to keep my studio tidy, and what works just as well, is office desk organisers. The little storage units help me keep all my art bits and pieces in order. Another must have is a stack artist draws, 10 or so draws may seem like a lot to start with but they will definitely fill up very quickly. I have around 3 stacks of rolling draws in my studio, you can either head down to an office supplier or have a browse online. 2. Celebrate Your Creative Self: by Mary Todd Beam. If you feel you need some new ideas, this is a great book. The author states ” Be willing to shed some old habits. Erase what what has gone on before. Take risks. Let go! Clear the deck! Jump right into the water!” and that just about sums it up. It’s all about challenging yourself and turning the fantastic ideas into your own art pieces. I picked up some wonderful new techniques from this book, things I would never have thought of, that I’ve been able to incorporate into my paintings. The format of the book is an exercise style, using numerous medium and it’s also spiral bound which is a bonus. 3. 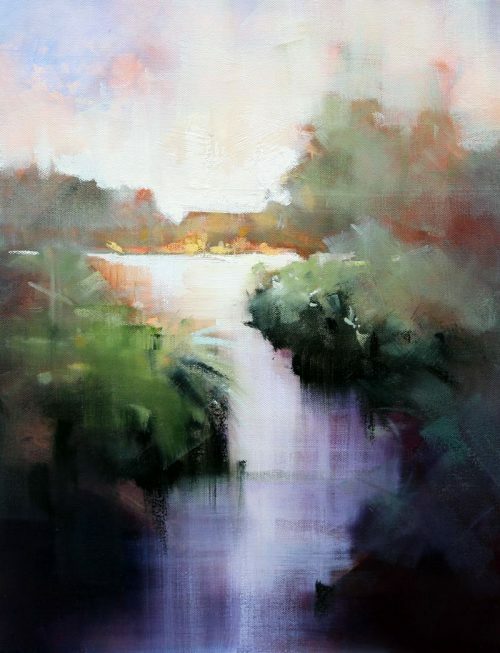 Painting Light in Oils: by Peter Wileman. Wileman is the President of the Royal Institute of Oil Painters and you can see why when you take a look at this book. His paintings and his use of light are inspirational, he achieves the ultimate in atmospheric seascapes and landscapes. And even better, he shows you how! I’ve used lots of his ideas on colour combinations and how that little fleck of light in the right place can make a painting. He’s one of the most dynamic painters in the UK today and justifiably so. 4. The New Acrylic: A Complete Guide to the New Generation of Acrylic Paints: by Rheni Tauchid. Although I don’t use acrylics a great deal, this is a book I find fascinating. It moves acrylic paints into a whole new realm of possibility. Gone are the more traditional painting methods – here we move into the non-conventional realms of handling modern acrylics and the results are stunning. A great book for the adventurous painter! 5. Vibrant Watercolours: by Shirley Trevena. I love painting flowers and Shirley Trevena is my inspiration. Her use of colour is masterful and there are practical exercises in the book as well as studio tips and demonstrations to help you develop your own skills. 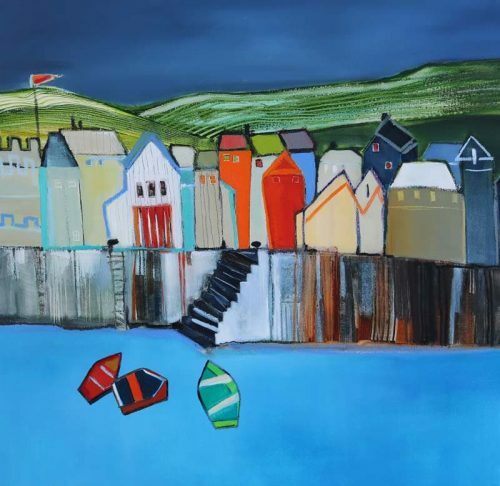 Her paintings are so colourful and vibrant and quite often very unconventional! 6. Painting and Drawing: a library of useful free ebooks that you can browse through and get some tips when venturing off into new styles and mediums. For more awesome art tips, resources and reviews, sign up to my exclusive mailing list! Does Painting to Music Increase Your creativity?